The word ambrosia makes me think of Greek Mythology, ancient lands and an ancient people. History says this 'food of the gods' was looked upon with unfounded awe because the substances were supposed to confer immortality to those who ate or drank them. With no thoughts toward immortality, I do love the dish I refer to as "Diane's Ambrosia". The flavors are wonderful and the dish looks beautiful. It would please even the most picky eater and it is very easy to make - only four ingredients and NO cooking! Trim the pineapple rind from the fruit to expose the fruit. Cut away the flesh from the dense inner core. Discard rind and core. 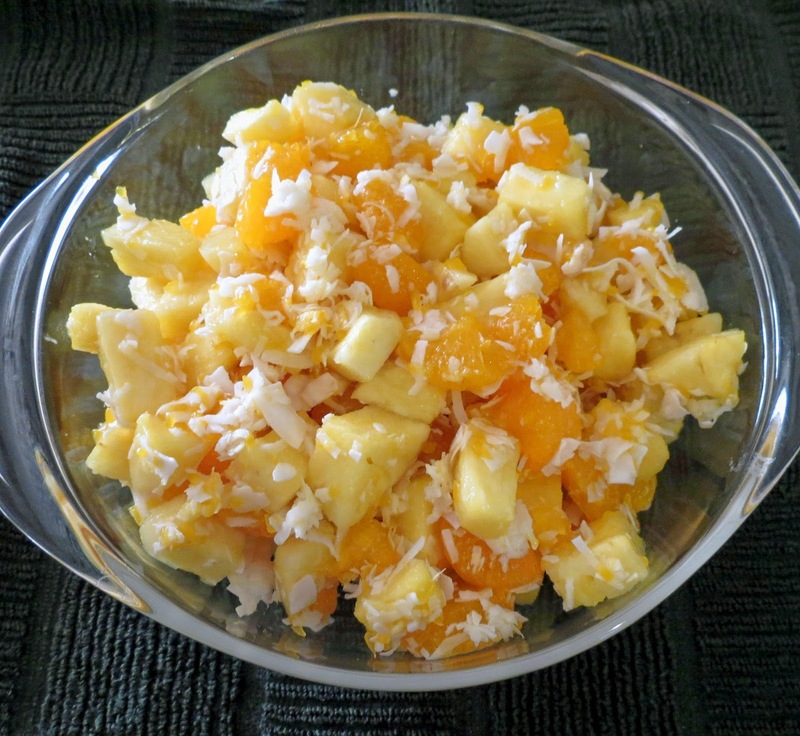 Cut pineapple into small chunks and put into a large bowl. Add drained mandarin oranges and shredded coconut and blend gently. Sprinkle in the honey powder and mix gently. Refrigerate for an hour before serving.